As you may have heard, healthcare wrapped up the month of April on a real high. The Federation of State medical Boards (FSMB) adopted new policy guidelines for the safe practice of telemedicine. This means that, finally, states now have a basic roadmap for ensuring that patients are protected in this fast-changing healthcare delivery environment. It also means that all states can utilize clear definitions and principles to guide policies governing the use of telehealth. A more in-depth look shows us the tangible progress that was made in this area of health IT/innovation. The FSMB policy provided much-needed clarity on “Do’s and Don’ts” in the use of telehealth technology when practicing medicine. The FSMB did the heavy lifting of framing the principals of operation that must be adhered to in order to preserve patient safety and quality of care. Their recommendations balanced the immense promise of this technology with the legitimate concerns of its abuse, which in the past have driven many state medical boards, even enthusiastic ones, to adhere to older rules that prevented its use. The new guidelines offer a detailed framework needed to revise those outdated rules. 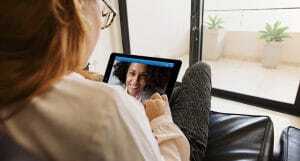 I expect many boards to tailor the guidelines to meet their own perspectives and cultures moving forward, but as a whole, healthcare will take these new rules as sign of the time and modernize to embrace telehealth. In an event such as this, it is important to take a step back and acknowledge history in the making. The unanimous ratification is probably the strongest message the house of delegates (of the FSMB) could have sent; decisive leadership such as this is very impressive and very rare these days. Telehealth adoption will come when people gain clarity that it is a safe and valuable way to deliver care; the board has done a terrific job in preparing the landscape for large-scale use of telehealth. There are many areas where further work is needed, such as licensure issues and protocols for use in different clinical applications (e.g. follow up care that may allow fewer restrictions than establishing a relationship with a new patient); however, that can’t take away from what was accomplished. The FSMB should take a day to pat itself on the back. The fact that the board did not make any changes to the telehealth definition outlined is not an oversight. In fact, on the contrary, it is a reflection of the booming diversity in this technology. Ten years ago telemedicine was only a construct between physicians. Today we have telehealth with multiple end points between patients, mobile health, wearable devices, home biometrics, healthcare kiosks, e-visits of sorts, etc. The FSMB tried to keep definitions very high-level in order to prevent these important guidelines from becoming obsolete over time, as many other guidelines and rules (all too specific) have before. 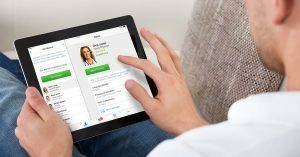 As I mentioned already, there are still barriers to the widespread adoption of telehealth. State licensure of physicians limits how helpful the technology can be to spread healthcare services to where they are challenged. Reimbursement by Medicare and Medicaid is essentially nonexistent, mostly because of the unknown impact on future costs. Physicians are still afraid they will be sanctioned if they don’t examine a patient in-person, and there are more examples like these. The good news is that these barriers are quickly eroding and, most importantly, patients – our industry’s main customer – love it. In the end, the people are stronger than the industry’s outdated rules and the floodgates will open. 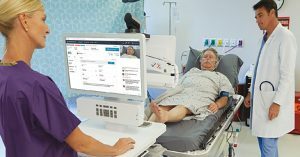 In ten more years, the term telehealth will be gone and this technology will simply be an integrated part of mainstream healthcare.